Looking for a summertime project? 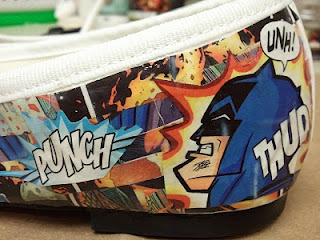 Try your hand at customizing some geeky shoes with do-it-yourself decoupage. These are fantastic projects because you can pick the shoes that work with your feet, then add whatever makes your little geek heart go pitter-pat. 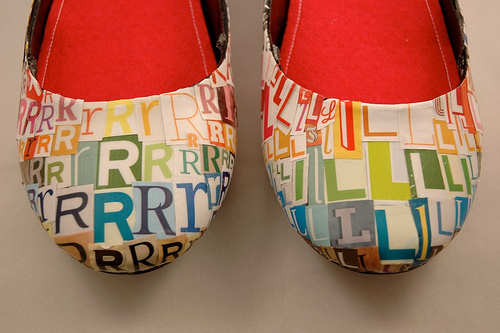 If comics aren't your thing, you can also show your love of letters ... literally. Craft blogger Heather Donohue saved letters in varying sizes and colors and made these shoes, which I love beyond all reason. 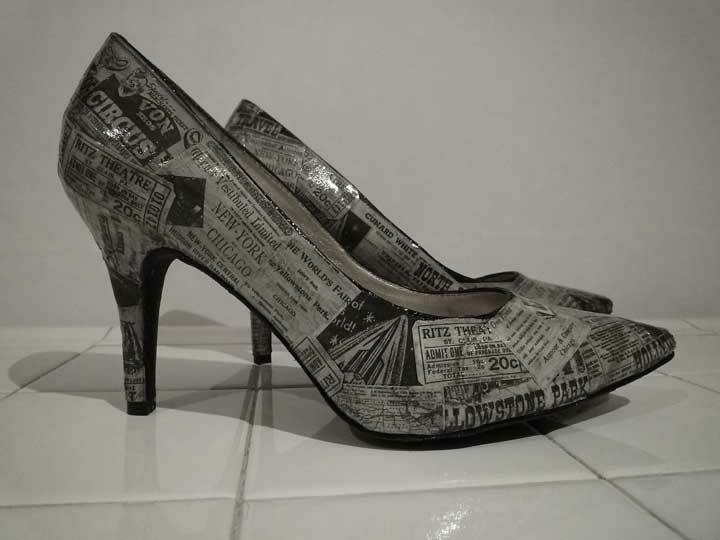 The printed word is still important, for information, education and fashion. You can make these newspaper shoes by following the excellent directions from jessica mcwillians. 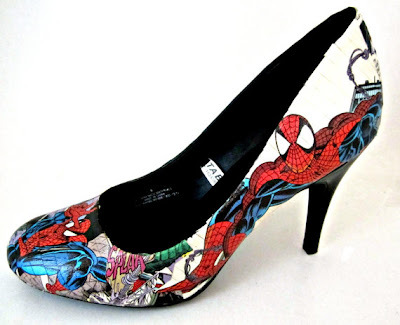 Avon Romance's Facebook recently page featured a photo of these novel-bedecked shoes. 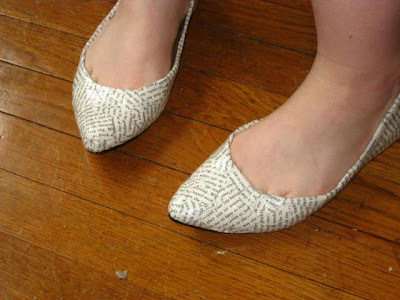 I'm not sure it's the best way to honor your favorite book, but we've probably all read something we hated so much that we'd be OK sacrificing it at the altar of cute shoes. Feeling inspired yet? Good. 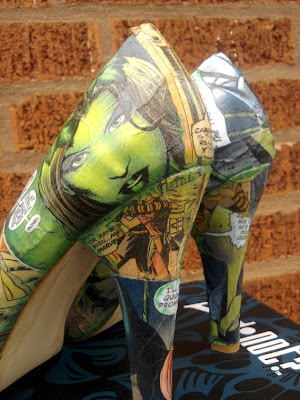 Because here's your next challenge: Match the awesomeness that came out of this shoe-making party that Geek with Curves hosted. 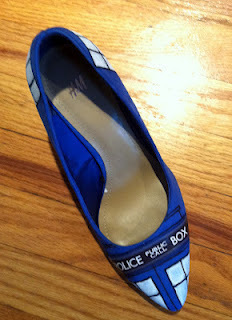 Seriously, the skill and creativity on display here will blow your mind and make you TARDIS-blue with envy. These crafters branched out from decoupage and included glitter, paint, fabric and beads. 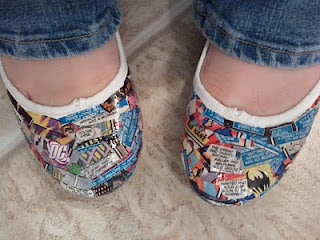 This shoe-decorating party was recently featured on Today.com, where you can find another great tutorial on how to decorate your shoes. 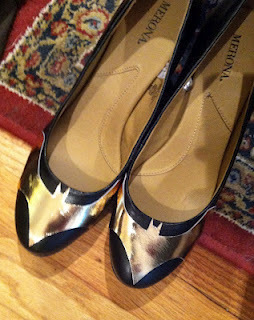 If all that sounds like too much work, you can also buy pre-made treats for your tootsies. A host of Etsy sellers create shoes for superwomen by applying comic book images to heels and flats. So are you as tempted as I am to pick up some cheap flats, some Mod Podge and some old comic books, then go to town? I know! I wish I could believe that my attempts would turn out as beautifully. 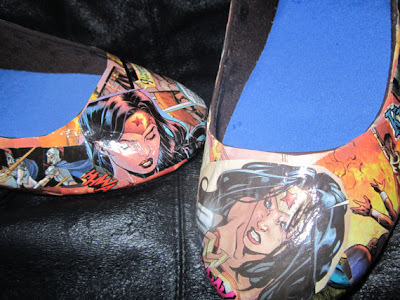 Selecting a suitable and stylish women wedge sneakers is very essential for each lady.